Plantroncis SMH-1783-11 Dual Ear Headband Headset that ends in 3.5mm and Quick Disconnect cables. The SMH1783-11 is bundles with vista modular amplifier that plugs into almost any telephone. With features like adjustable headbands, soft ear cushions, Sound Guard Plus and Call Clarity, you'll experience clear, precise audio and comfort for all day use. 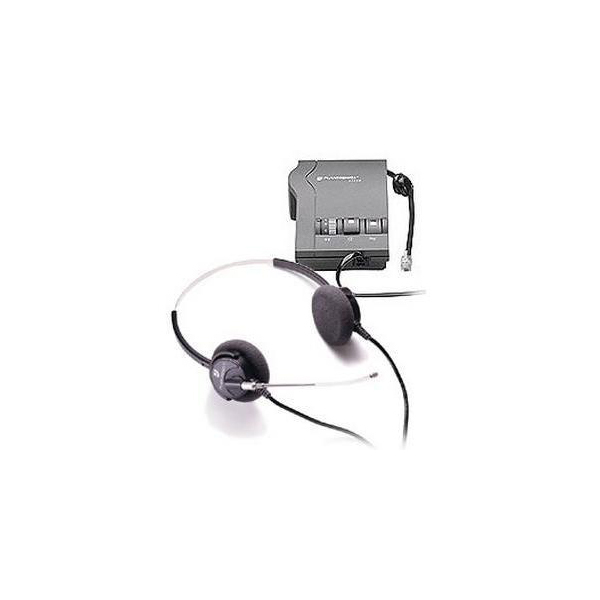 This Supra Headset is ideal for computer telephony applications that use sound cards, telemarketing and other phone intensive jobs. May be used for 2 applications: for a visually impaired person or for someone who needs to do dictation and be on phone calls!